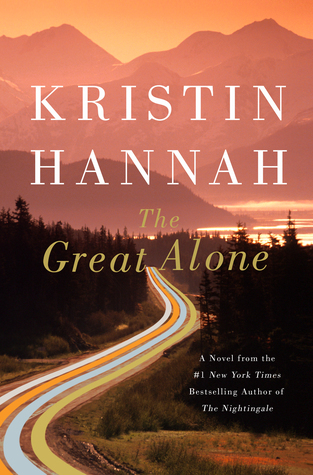 The Great Alone by Kristin Hannah is a 2018 St. Main’s Press publication. While I had been turning and tossing and fretting over this review, worrying about this 'critical' kick I’ve been experiencing lately, as I turned the last page, I had an epiphany! It hit me like a ton of bricks. I was experiencing many of the same emotions I normally feel after reading a romance novel. I am SO glad, despite the initial emotional drain, that I eventually finished it. It turned out to be a rewarding read. These characters will pass through my thoughts on many occasions in the future and I will wonder how they are doing from time to time, but I know they are going to make it just fine!! 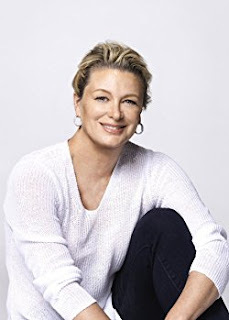 Kristin's newest new release, The Great Alone, was published on February 6, 2018 (St. Martin's Press) and became an instant New York Times #1 bestseller. The novel, an epic love story and intimate family drama set in Alaska in the turbulent 1970's is a daring, stay-up-all-night story about love and loss, the fight for survival and the wildness that lives in both nature and man. It was listed as one of the most anticipated novels of the year by The Seattle Times, Bustle.com, PopSugar, Working Mother, Southern Living, and Goodreads. Tri Star has optioned the film rights.